Steve Leard is a graphic designer based in Plymouth, specialising in book design, branding, illustration and typography. 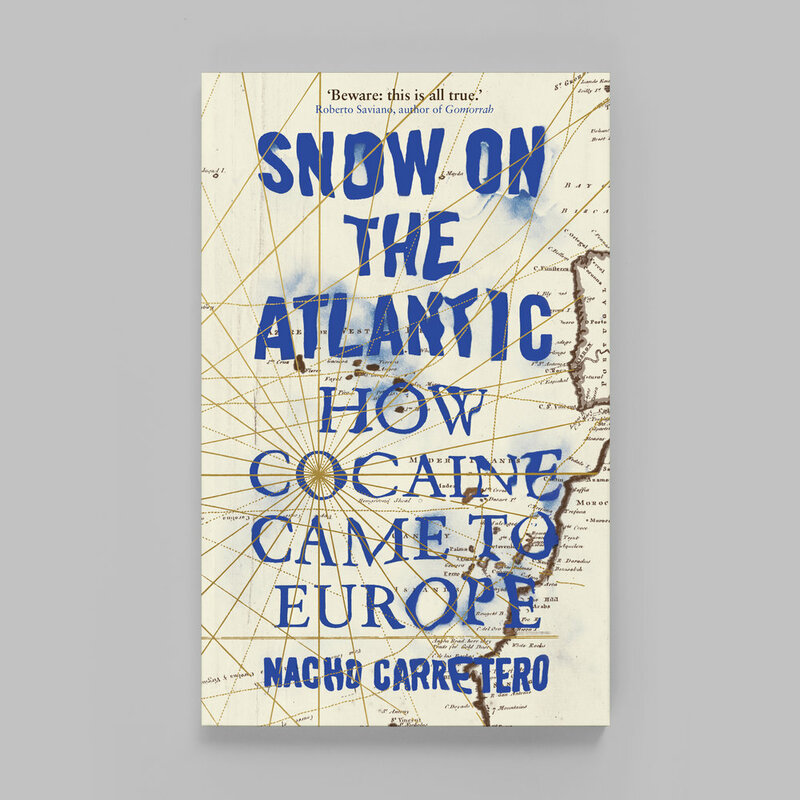 Here he talks us through his creative approach to designing Snow on the Atlantic. After I worked on a few options, we fixed on one direction fairly early into the process. I wanted to create typography that felt like it was being affected by water. I started by printing out the title, then placing it underneath a glass dish. With the help of my old man who takes a mean photograph, we filled the dish with water and created ‘waves’ by splashing whilst taking pictures of the type from above to capture the movement of the water and how it affected the type. It was great to rely on the process and the ‘happy accidents’ that occurred. This is something you could never do solely in Photoshop and I really enjoy working on covers that start life away from the computer screen. It was interesting to see how far to push the type and playing with legibility. I then took the photos into Photoshop and combined it with an old map of Cape Finisterre and the west coast of Spain to give the cover that obvious ‘history’ feel. In the initial versions of the cover, the type was more distorted and had a lot more texture throughout. During the development of the cover the design became brighter and cleaner. Whilst I really liked the initial darker versions, they were in danger of looking like just another traditional historical book. By making the cover cleaner it gave it more of a fresh look. It also balanced better with the map of Spain and the compass lines working through the type. It’s always useful to really push the initial legibility of something and then slowly bring it back to a point where it works. The final cover had a lighter feel that some of the initial versions, with the blue of the type becoming quite punchy. It was finished off with gold foil on the compass lines which reaches over the whole cover and helps really lift the whole thing.